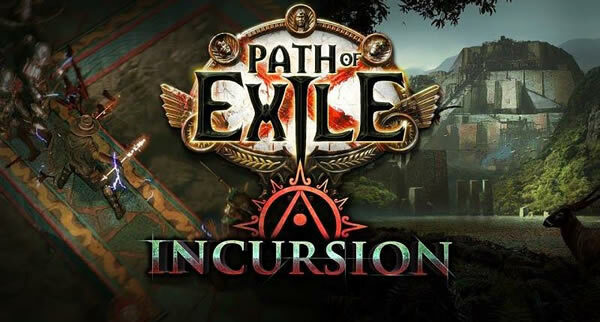 In the upcoming Path of Exile Incursion, the temple of Atzoatl holds many secrets, some of which can only be accessed by upgrading a room to its maximum tier. In the Apex of Ascension, the top-tier room of the Sacrifice sequence, players gain access to the Altar of Sacrifice. The unique items found exclusively throughout Atzoatl can be placed upon this altar in order to be transformed. Adding a significant amount of flat elemental damage to your attacks and spells, Sacrificial Heart is a potent DPS increase for its level. If you can find a reason to regularly use a Vaal skill (which, thanks to the changes GGG are previously discussed, will be much easier in 3.3.0) then it’ll also throw power charges, life gain on hit, and a little extra movement speed your way. When Sacrificial Heart is placed on the Altar of Sacrifice, it will become Zerphi’s Heart. Veteran players may notice a connection between this amulet and a fun little jewel that never made it out of the Path of Exile: Awakening beta. Soul Eater’s functionality has changed somewhat since then, but with greatly increased ease of using Vaal skills in 3.3.0, this is still certain to be a powerhouse item. You may have also seen this item on the Incursion preview page with some different flavour text. If you’re lucky enough to get this amulet, keep your sound on. This is another item GGG are previously shown off on the Incursion preview page. While wearing this item, you will still have a maximum energy shield value, but you’ll never actually gain any energy shield (from any source whatsoever). Instead, you’ll get flat life regeneration based on that value. If you happen to have 1500 ES or more, you don’t simply get 150 life regeneration per second — you also get the lower two tiers for a total of 300! If movement speed is all you care about, Dance of the Offered is a very impressive pair of boots for its level, but it comes with a meaty downside — your mana is going to trickle down. But if you can keep your mana above the “low mana” threshold of 35%, you’ll be gifted with even more speed. If you place your Dance of the Offered on the Altar of Sacrifice, it will be transformed into Omeyocan. Omeyocan turns the trickling mana drain into a full-on leak that will require significant investment to work around. But builds that are up to the challenge are graciously rewarded with attack and spell dodge that grows based on your maximum mana – and the onslaught bonus isn’t going away either. Maintaining some PoE Currency while you are waitting for Incursion to arrive.